The sun was shining, the breeze was blowing, and I wasn’t dying of heat stroke, so what better way to enjoy the outdoors than doing a nice bike ride along the Han River! We did a 2 hour bike ride and made it pretty far and got lots of great photos! 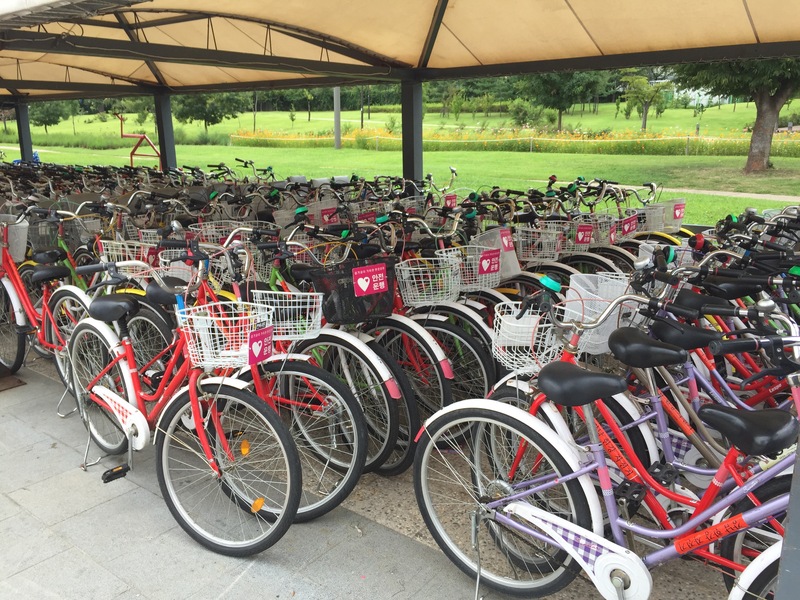 There are many spots to pick up bikes, however, we decided to pick it up near all of the Han River Cruise boats. Take Line 5 of the subway to Yeouinaru Station and take exit #3 and walk straight towards the water and a little ways down you will see 2 trailers that are bathrooms and the bike rental is there as well. 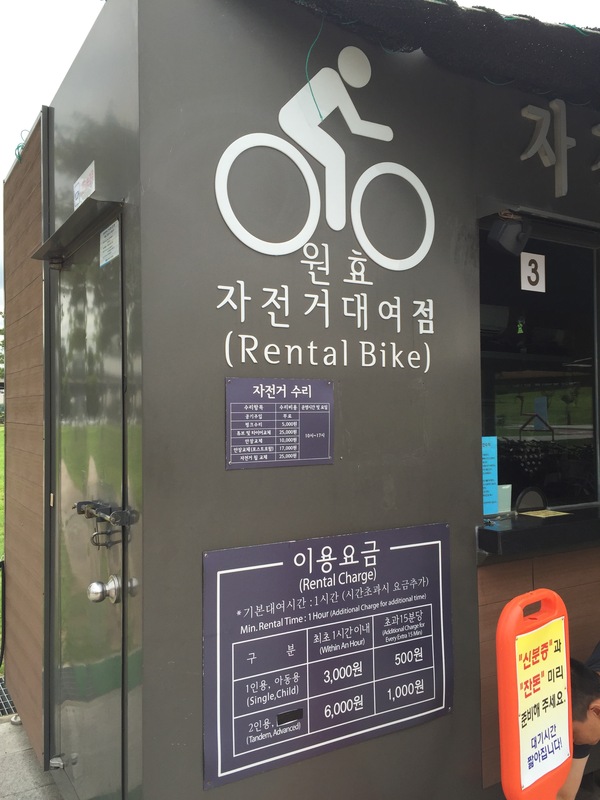 Rental Fees for regular bikes are 3,000 won per person for the first hour and then 500 won per additional 15 minutes. Tandem/Advanced bikes are 6,000 won per bike for the first hour and 1,000 won per additional 15 minutes. The biking paths are all paved, so it is very safe and you will see a lot of seemingly professional bikers decked out in their gear. Along the way you will enjoy some really great views. 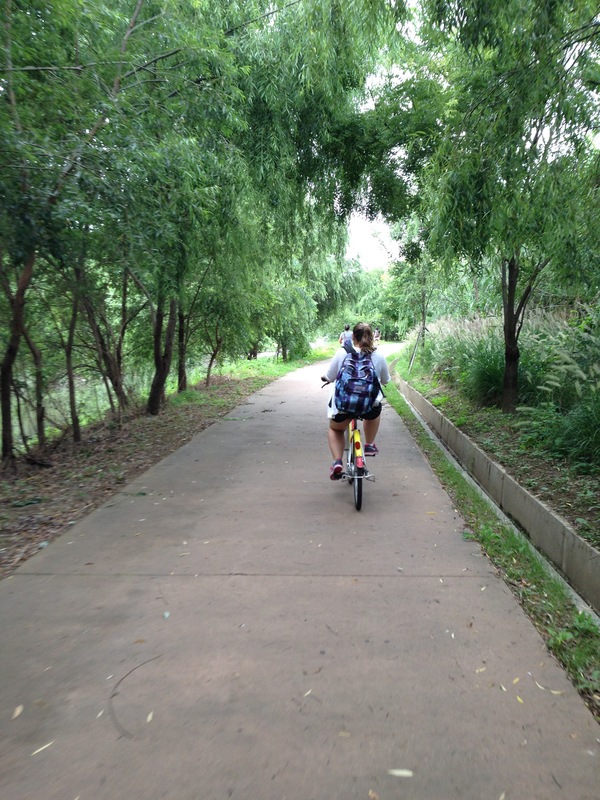 We were surprised to see all the flowers planted along the biking paths and a lot of small bridges to overlook small creeks and enjoy the scenery. There are even little pagodas around if you want to stop and rest or picnic. So pick a nice day and enjoy a nice ride along the Han River! Next Post Everyone Poops at the Poop Cafe! I need to do this before summer ends. Definitely head out there, it’s really fun 🙂 and even a few convenience stores to stop along the way for snacks and cold drinks! Love the description of this bike ride! Thank you for sharing.